Maybe you're an adventure traveler who likes to explore a country on your own. But traveling to a country where you don't understand the language can be intimidating. Yes, you can tell yourself, everyone speaks English. But actually not everyone does, and certainly not in areas that are off the beaten track. Or in areas that don't care that much about speaking English. That last point was driven home to us during our one-month stay in Seville, Spain. One night when we tried to withdraw money from an ATM, the machine went on the blink during the withdrawal. Our card was withheld, and "for technical reasons" the machine was unable to issue us the cash we had requested (though, as we found out the next day, the money had been withdrawn from our account after all – see for the full story: 5 Tips For Dealing With ATM Troubles Abroad - And At Home). To our surprise, our several conversations with the bank manager (to get our card and our cash back) had to be done in Spanish. He proudly told us that he "did not speak English". The one employee of the bank who supposedly spoke English, didn't really. Our Spanish turned out to be much better than his English. Still, using Spanish banking language proved to be quite a challenge and we had to brush up on it quickly. That kind of experience has taught us a few things about preparing for our trips to foreign countries. To prepare for our "slow travel" adventures - they include unhurried stays in Rome, Paris, Berlin, Barcelona, Seville, Madrid, Copenhagen, Stockholm and Amsterdam - we made sure to learn some language basics and to find out about cultural differences. To prepare for speaking the local language on your travels, you need to practice. But you need to especially practice words, phrases and sentences that you are likely to use. Greetings, please and thank you, numbers, question words, asking for directions, language for shopping, - all these are helpful, especially if you go outside of larger cities. Obviously, you can't prepare for all occasions and emergencies, as we found out in Seville. But it didn't take us long to learn some of the key banking terminology either. A good part of your language practice can be done on your own. To do that, nothing beats online sites that have audio and text, and which teach you the practical vocabulary you need. You can pace yourself, you don't have to worry about making mistakes, and you can practice until the phrases you want to learn become automatic. As I'm acquiring a new language right now - Czech - in preparation for a week's stay in Prague, I'm experiencing the challenge of learning totally unfamiliar words and sounds. I find that it takes persistent practice to learn new words and their spelling with the goal to get them into my long-term memory. Not only do I repeat the words often, and practice them in a kind of "spaced repetition", I also make sure I recall them frequently. Learning vocabulary in "chunks" (meaningful phrases) is better than just learning individual words. Once you have a set phrase, such as asking "Where is ...? or "How much is ...?" or requesting "I'd like ..." or "Please give me ...", you can put in other words to suit different situations. We discovered during trips to Japan and China that the most useful vocabulary we learned were the numbers. The need to understand and say numbers came up again and again as we visited markets, paid in restaurants, requested tickets, asked for information, etc. Clearly, understanding the rapid speech of native speakers is more difficult than speaking phrases and sentences that you've practiced. So, learning to listen without translating is also really worth practicing. Especially with the kind of vocabulary that you are learning. At the very least you'll get the gist of the responses people give you. Practicing pronunciation goes hand in hand with learning the words, phrases and sentences you want to use. No doubt, it's your goal to be understood when you speak. It therefore helps to practice out loud. To get your pronunciation good enough, listen carefully to the native speaker and repeat what you hear. Some words and phrases may be easy to pronounce. Others might take a lot of practice because they contain sounds that are not part of your native language. Foreign sounds are a challenge because you may not hear them correctly at first. Interacting with others who are from a different cultural background and speak another language is so much more pleasant when you understand some of the cultural assumptions they may have. Yes, seeing YouTube videos about the social and cultural gaffes some people commit can be quite funny. And people are often very forgiving. Still, understanding and respecting the values and traditions of others will help you engage positively with them. It will also make you more confident as a language learner. English has one word for "you", but many other languages have two or more. Because of the single "you", English speakers just doesn't have the ear for some of the situational differences that dictate a specific form. Learning when to use the formal as opposed to the familiar forms of address is a must. Differences in age, social class, type of business, etc. impact on some of the "rules" for using the formal versus the familiar "you". Also, these rules change over time. The Internet has added some confusion to the issue since age, profession, or social class are usually not visible for participants in group discussions. Often the familiar "you" (German "du", French "tu", Italian "tu", Spanish "tú") is automatically used by all and feels friendly. Still, if you're in another country and walk into a shop, you'll certainly want to use the formal, polite "you". Becoming sensitive to non-verbal clues in another culture, such as hand gestures and facial expressions, is also important. While a certain gesture may be respectful in one culture it may be rude in another. Read more in LingoHut's guest blog post Are There Right or Wrong Hand Gestures? When we travel, we often become quite aware of how close people stand to us, including strangers in public spaces. Just know that such differences exist and be aware of how you react to a person who handles personal space differently from you. Time is another factor where cultural differences occur. Not understanding them can cause unneeded friction even between people who are well-meaning and friendly. Countries where public transportation and trains run on a precise schedule give you a different experience, as opposed to places where schedules slide and are unpredictably flexible. The way we perceive and handle time also affects scheduling personal get-togethers. We all have expectations and reactions regarding punctuality and lateness. But a people's culture isn't just levels of politeness, the experience of personal space, or the perception of social time. When you visit a country or region, it's also worthwhile to learn about its history and traditions. No doubt, you can learn about cultural differences without learning a language. But inversely, if you acquire another language, learning about the culture that has evolved with it is a must. Once you're in the country where the language is spoken, it's up to you to find ways to engage in conversations with native speakers. In a conversation so much is going on at the same time. As you listen to your conversation partner and try to understand what the flow of sounds coming at you means, your mind is also working on a possible answer. It may sound simplistic, but it's true: You can't learn to engage in foreign language conversations unless you do it. Start with baby steps and keep building. Insist on using the local language at the market, in restaurants and bars, at the bakery, at the supermarket, when asking for directions. You'll certainly encounter situations when the other person would rather practice his or her English – especially when their English is better than your new language. It's easy to succumb to such an offer, but try to resist. Such situations are especially true in countries where many speak English. But in rural areas or places off the beaten track you'll certainly have the opportunity to practice what you've learned. I've always found that locals are very supportive of my attempts at using their language. Often it has led to further conversations about their city, about travels, about my home country, etc. And if you are also a practitioner of "slow travel" and are staying in a city for a longer period, you may be able to engage a tutor. Or you could personally meet an online conversation partner you found via one of the many language-exchange sites. Even knowing just the basics of the local language will enhance your travel experience. And being able to listen and participate in conversations will get you to another level. If you're an adventure traveler who likes to explore a country on your own, learn as much of the local language as you can before you get there. You won't regret it. You may never have heard of the “chemins de fer du Kaeserberg”. And unless you live in Europe or are familiar with Switzerland, you may draw a blank when you hear the name Fribourg, or its German name, Freiburg (“im Uechtland”). Perhaps you're more familiar with the city's German cousin Freiburg (“im Breisgau”), a picturesque university town located in Southern Germany's Black Forest. Well, Fribourg is the capital of the Canton of Fribourg, (see picture above). It is located on the cultural border between German- and French-speaking Switzerland and the seat of the country's only bilingual university. Every February, for over ten years now, Ulrike and I have visited my sister in Fribourg before heading to the Berner Oberland for some skiing. While in the city, we always make some new discoveries. This year it was the “Chemins de fer du Kaeserberg". And, we always take advantage of learning more about languages and enjoying Swiss food specialties. Our Swiss experience typically begins in Zurich after an overnight flight from Boston. One of the pleasures of traveling in Switzerland is the ease of train travel. We now know that there is a direct train from Zurich Airport to Fribourg that runs every hour. We often don't have to wait long after buying our train ticket. A few years ago though, we didn't have time to buy a train ticket. So we just boarded the train. The conductor didn't come by until after the next stop, which is Zurich Main Station. We told him that we had boarded the train without tickets at the airport. He sold us the tickets and was nice enough to waive the penalty fee. You can no longer purchase tickets on the train, and penalties have increased if you're caught without a ticket. However, if you don't have time to buy a ticket at the counter or ticket machine, you can now easily purchase the tickets online with your smart phone. Just download the free SBB Mobile app for iOS or Android devices to check time tables, purchase tickets, make seat reservations, etc. Over the years we have visited many of Fribourg's sights, the Cathedrale St-Nicholas, the picturesque lower town you can get down to with a Funicular, the Espace Jean Tinguely-Niki de Saint Phalle in the Musee D'Art et D'Histoire Fribourg, the Musee Gutenberg, etc. During our visit this year, we spent a whole afternoon in the Musee des Chemins de Fer du Kaeserberg. If you're a model railway enthusiast, the railway museum is nothing short of a feast. But anyone from 4 to 90 years old will enjoy this technical marvel. The model railway was a childhood dream of Marc Antiglio. He had taken over the family construction business as a young man and worked on his dream throughout his adult life. It took Marc 17 years to fully realize his dream: A model railway exhibit on three levels, in a custom-designed, multi-level, state-of-the-art building with solar collectors, a geothermal heating system. All of this was completed just a few years ago. Built at a scale of 1:87, the model exhibit occupies an area of about 6,500 sf, with currently over 6,000 ft of rails (both H0, 16.5 mm, and H0m, 12.0 mm). The rolling stock consists of 300 locomotives and 1,650 wagons and cars, many of which are stored and can be accessed on the depot/station, the first level the visitor encounters when entering. The attention to detail in building and landscape design is amazing. The model imagines a Swiss landscape around 1990, with villages, buildings, railway stations, cars, and people, plus circus tents, lakes and ships – so realistic - that you need to look twice to see that they are not real. Even the background photos of sky and mountains blend in seamlessly. We had a wonderful time watching the many trains going through tunnels, over bridges, stopping at and leaving the stations. In the night mode, the changing lights created magic images. The exhibit is open to the public at certain days during each week, and private visits can be arranged on other days. Check the website for the opening days and hours. In the past, the language lines in the city of Fribourg were drawn rather clearly: In the lower town, since the city's founding in the 12th century, people spoke mostly a Swiss German dialect. In fact it was the official language until about 1800. By the year 2000, nearly 64% of its 38,000 inhabitants spoke French as their first language, and only 21% German. Italian was third with about 4%. In restaurants, cafes, and shops, etc. you hear a mixture of French, Swiss German, and Swiss standard German, which curiously is called “Schriftdeutsch” (written German). Increasingly, you also hear other languages. In 2008 nearly 32% of the population were resident foreign nationals. The term “Schriftdeutsch” - written German - is used to distinguish Swiss standard German from the spoken Swiss German dialect. Swiss German children learn to speak Swiss German at home. They start to learn “Schriftdeutsch” in first grade and likely French a couple of years later. That's about the same time that Swiss French-speaking children learn “Schriftdeutsch” as a second language. Also, in many schools children learn English already in fourth grade. From discussions with family, friends and acquaintances in Fribourg, we've gained the impression that there are more German speakers who are fluent in French, than French speakers who are also fluent in German. We don't know why that would be. Maybe it's because French speakers are now the majority in Fribourg, or learning French as a third language (after “Schriftdeutsch) is “easier” for Swiss German speakers, or maybe Swiss Germans feel a more personal or economic need to be bilingual than their French speaking compatriots. A visit to the local market provided a non-representative sample, as most of the Swiss German-speaking farmers easily switched to French, while French-speaking bakers and butchers had more difficulty speaking German. While the casual observer may be pleasantly surprised by the city's apparent bilingualism, language in Fribourg - as in other Swiss cities and towns that are located on a language and cultural fault line - is often still a divisive issue. Not much has changed since swissinfo.ch covered this issue in 2004, citing both Biel (where French speakers are the minority of the population, with 28 %) and Fribourg as examples. Family connections, social status, school locations, etc. all influence parents' decisions which language path their children should pursue. In 2017 the Swiss Bilingualism Foundation awarded Rapper Greis (alias for Grégoire Vuilleumier) that year's “prize for bi- and plurilingualism”. Listen to his “Enfant des Etoiles” song which switches between Swiss German and French. It certainly seems that in a small country like Switzerland (about 8 million inhabitants), being bilingual or at least being fluent in two of the major languages, German and French, should have great professional and personal benefits. A couple of years ago just as we were visiting Fribourg, the local Newspaper, La Liberté, reported that local film makers had adapted Pharrell Williams' song “Happy” from the movie “Despicable Me 2” to Fribourg, similar to what other Swiss cities have done. You can watch the YouTube video which shows many images of Fribourg. Before heading to Gstaad and Schoenried (more about that in a future post), we typically will have a Cheese Fondue or Raclette with our family. Fondue has a lengthy history in Switzerland. The recipe “Käss mit Wein zu kochen” (cheese cooked with wine) was first mentioned in a Zurich manuscript in 1699. “La fondue” showed up in 18th century culinary literature as “oeufs brouillés au fromage fondu”, scrambled eggs with melted cheese (as noted in the dictionary, Le petit Robert). The dish was particularly popular in the western French-speaking cantons, and there mostly among city dwellers who could afford the rich cheese. Fondue, as we know it, dates back to around the middle of the 19th century and by 1875, it was named a Swiss national dish. In the 1930s, the Swiss Cheese Union (Schweizerische Käseunion) used the idea of a national dish for its own marketing purposes. That kind of promotion was continued after WWII. Fondue was popularized in the US in the 1960s, helped by being showcased in the Swiss Pavilion at the 1964 World's Fair in New York. The traditional fondue is served in a fondue pot (un caquelon), which is kept warm over a chafing dish (un réchaud). To make the fondue smooth, you add cornstarch to the cheese mixture as it heats. Each one of you gets a long thin fork for spearing chunks of bread (or sometimes potatoes), which you then dip into the cheese. Eating fondue is definitely a social event that also includes plenty of white wine and/or tea. Various traditions are observed: for example, if you drop your bread into the pot, you pay a round of wine, or a pot of hot tea. Many of the Swiss cantons have their own version of fondue, using different combinations of cheeses. For those who want to try, this Epicurious post will give you the recipe for making a perfect traditional Swiss Fondue. Being frequent travelers to Fribourg, the two fondues we know best are the Fondue Fribourgeoise, and the Fondue Moitié-Moitié. Fondue Fribourgeoise is prepared with 100% local Vacherin cheese. Vacherin from Fribourg is a medium-firm cheese made from cow's milk, as the name - vache (cow) - implies. The cheese is melted in a few tablespoons of water over low heat. To our knowledge, this is the only cheese fondue that does not use wine. Often you dip pieces of potato instead of bread. Moitié-Moitié (or half-half), as its name states, uses Gruyère and Vacherin cheese in equal parts. This fondue is made with white wine, (dry and high in acid) and for flavor a shot of kirsch is often added to the mixture. You eat it by dipping chunks of bread. Our foray into the world of melted (Swiss) cheese would not be complete without mentioning the “Raclette”. The name is derived from the French “racler”, meaning “to grate or scrape” and that clearly describes the method in which it is served: The melted cheese is scraped off the roasted/heated end of a large piece, most commonly a half a wheel of cheese (as in this picture). The Raclette Suisse site traces Raclette's origins to the 13th century. In the German-speaking cantons, convent writings mention “Bratchäs” (roasted cheese - note the Swiss spelling of “Käse”) already in 1291 as a nutritious food for mountain cow herders. Raclette cheese is made of raw milk and many variations exist. Only the “Raclette du Valais” is a protected brand under Swiss law. The traditional method melts the half-wheel of cheese, either right at an open fire place, or in restaurants, with an electric heater. The Raclette cook/server scrapes the melted cheese off unto each customer's plate. (see photo above, courtesy of: Grcampbell-Wikipedia Commons). The modern, self-serve version uses small pans in which to heat Raclette cheese pieces right at the table with a special gadget (as in this picture). In either case, “Gschwellti” - Swiss German for potatoes boiled in their skin - are served with gherkins, pickled onions, and often preceded or accompanied by dried meat, such as “Bündnerfleisch” or “viande des Grisons” or “jambon cru”. A Raclette evening, during which the meal is served the traditional way to a large table, is a social event that can last for hours. As with cheese fondue, locals will warn you not to drink cold water. It doesn't mix well with the hot cheese. However, hot tea, a “Kirsch” (cherry), “Poire” (pear), or “Framboise” (raspberry) Schnaps come highly recommended. Raclette and Fondue (whether the cheese or meat variety) always make for a lively, social dining experience. Even after the taste and smells of melted cheese have faded in your memory, you'll certainly remember the fun you had with your family and friends sharing such a meal in a warm and cozy mountain hut after a hard day of skiing, snowboarding, or hiking. The best kind of travels are those where you can linger in a place, make discoveries, learn new things, and try out new tastes. It's a kind of “slow travel” that lets you soak in some of the local language, history, and customs. You have time to explore different neighborhoods, go to various cafés, bars and restaurants, and visit local shops and markets. And if you've learned a new language for your trip, you'll have the chance to try out what you've learned. That's one of the great pleasures of travel: Get that sense of accomplishment as you stretch your boundaries. We've said in previous posts that we prefer to rent an apartment whenever we stay longer than a few days in a city. We did so in Rome, Paris, Barcelona, Berlin, London, Stockholm, Seville and Madrid, all cities that a worth exploring for more than a day or two. So when Lysha contacted us to write a post about short stay apartments, we thought it might interest readers who are considering this option. Lysha emphasizes the many advantages short stay apartments have over hotels - and we agree and like those as well. We would be amiss, however, not to also mention a few drawbacks we have encountered ourselves in the past. Depending from whom you rent the short stay apartment, from an individual owner, a real estate company, online sites such as VRBO, WIMDU or Airbnb (all of which we have used in the past), how to get the keys to the apartment is often the major coordination challenge right at the beginning. Different from a hotel, there is typically no receptionist. That means you have to make your arrangements beforehand for access to the apartment. Due diligence is especially required when renting from individuals, who require a deposit. Many online sites provide guarantees or offer cancellation options. Apartments can also differ greatly in accessibility (e.g. no elevator to get to fourth floor), furnishings and equipment (e.g. kitchen utensils and cook ware), cleanliness, etc. In general, you get what you pay for. Online sites today provide pictures and lists of the major amenities. Nevertheless, you would do well to confirm that those which important to you are indeed there. During one of our stays in Rome, more than ten years ago, we were in contact with the apartment owner, who confirmed that "internet access was available". However when we got there, we realized that a modem and router were installed in the upstairs apartment that he also owned, but not in ours. "Internet available" clearly meant something else to this owner. In spite of that and other "adventures" we've been very happy with our short stay apartments so far. We have already reserved one for our next European stay in Prague later this year. As a traveler, you have so many options to choose from that you're sure to find one that fits your budget. Travelers today have a lot more options to choose from than those who followed this passion years ago. They are faced with making choices everywhere: type of trip, lodging, food, gadgets, clothing, etc. Thus, decision making has become all the more important now. In order to make the right decisions, one needs to have access to correct and helpful information. This article focuses on the benefits of using short stay apartment for travel. 1. Offer a greater degree of privacy. Because of the hustle and bustle that hotels generate, privacy is somewhat compromised. 2. Prove to be more economical. Because of the services offered, they are often more expensive. What is a short stay apartment and what can you expect when you stay in one? Short stay apartments are designed for people who are looking for accommodation for short periods of time. Generally speaking, the rates are fixed on a weekly or monthly basis and are sometimes negotiable, depending on the apartment. Short stay apartments, just like hotels, offer different types of rooms. Most such apartments have a single room or a double room. But you can also find studio apartments with kitchen or apartments with multiple bedrooms (2+). These obviously work well for families. Most service apartments have the basic amenities that travelers consider to be a must. In particular, you can expect to find Wi-Fi services, equipped kitchens, TV sets, laundry facilities and security services. Some also offer other more hotel like amenities, such as housekeeping, room service etc. Obviously, short stay apartments don't work for travelers who insist on hopping from city to city. But they are ideal for "slow travel". Spending a week, a fortnight or even a month in a place allows you to soak up the local atmosphere, learn the language a little, and explore the city on foot or by bike. Here are the reasons why many "slow" travelers choose short stay apartments for their lodging. The right kind of short stay apartment can be quite economical and give you good value for your money. Such apartments are generally less expensive than hotels that provide services which you don't need or offer amenities you don't use, such as swimming pools, tennis, exercise rooms, etc. Therefore, by choosing to stay in such apartments, travelers can save on lodging expenses. That money they can then spend on experiencing other interesting things or exploring an additional city! Privacy is another reason why short stay apartments are gaining popularity with travelers, especially those of the younger generation. You'll not find a reception area or anything of that sort in these apartments, which means that no one keeps an eye on your movements. For the time that you occupy the room, you can expect to come and go as you wish. But it also means that you have to make arrangements with someone ahead of time to get your key, etc. Short stay apartments offer most of the basic amenities that a traveler would need. And unlike in hotels, these amenities are typically available at no additional cost. They normally include Wi-Fi, refrigerator, electric kettle, coffee maker, toaster, cookware, access to washer and dryer, etc. If you're looking for a homey environment when you travel, a homestay would probably be your best option. But short stay apartments rank a close second. That is because you can come and go freely and have access to the kind of amenities you enjoy at home. You are free to prepare breakfast, cook for yourself, make your own bed, do your own laundry and stay comfortably in privacy, just like you do back at home. Being able to do all this can surely add to the enjoyment of your travels. Flexibility is another great feature of short stay apartments. Although the name implies that these apartments can be booked only for short periods of time, in reality, that’s not how it works. Such apartments have been designed to meet short-term needs but when necessary, one can often extend one’s stay somewhat, or even arrange to stay for longer periods of time. Most short stay apartments offer rooms that are more spacious than an average hotel room. And let’s face it, with all the travel gear along you don't want a cramped room. Having more space makes people happier, more comfortable and more relaxed. In all, there are a lot of reasons why short stay apartments are a great lodging option for travelers. The apartments are perfect for business as well as vacation travelers. They are usually located in many parts of the city, so that more often than not you can find an apartment in the location of your choice. To get a perfect stay for your trip, you'll have to be clear about your priorities. If you’re looking for a luxurious stay then you may want to consider other lodging options. However, if you're on a budget and want to spend most of your money on meaningful experiences, you can comfortably stay at a short stay apartment. If you’re taking a business trip for an extended period of time and don’t want to spend unnecessarily on your stay, consider living in a short stay apartment. It’s not just another lodging option for you, but can prove to be a home away from home! Author’s Bio: Lysha works at Lalco Residency - Apartments In Mumbai For Short Stay and she loves her job. Helping clients and monitoring the progress of business strategies along with her leadership skills makes her perfect suit for Hospitality services. You can catch up with Lysha at Lalco Residency in Mumbai. This continues our European Travel 7 post From Sylt to Zealand. Before heading into Copenhagen, we wanted to explore the northern part of the island of Zealand. There was one castle in particular that interested us. Kronborgslot, a 16th century castle, located at the very tip of Helsingør and overlooking the Øresund across to Sweden, may very well be Denmark's most famous castle. It's the castle that Shakespeare called Elsinore in his play Hamlet. Since 1816, every year in August, and only interrupted by World War II, the Hamlet festival attracts not only thousands of visitors, but also the world's greatest actors. While we regretfully missed the festival, we were surprised how many names of actors we recognized in the Festival's “Hall of Fame”. They include Sir Laurence Olivier, Vivien Leigh, Gustaf Gründgens, Sir John Gielgud, Michael Redgrave, Richard Burton as well as Michael Caine, Christopher Plummer, Kenneth Branagh, Jude Law, and other more recent ones. Since the year 2000 Kronborg Castle has been a UNESCO World Heritage Site and has been called one of the most important Renaissance castles of northern Europe. In 1574 King Frederick II started construction to transform the Krogen (the castle's original name) into a Renaissance castle, which was finished in 1585. A tour of the grounds and through the building let us appreciate its strategic location, as well as its significance as a sign of the power and wealth of King Frederick II. When a fire destroyed a large part in 1629, King Christian IV had it rebuilt. Besieged and captured by the Swedes in 1658, the castle also lost many of its art treasures. For close to 150 years it was used to house the army and only in 1923, after a thorough renovation, it was opened to the public. On our way from the parking lot to the Kronborg Castle, we came by what looked like, and indeed was a former dry dock: the Maritime Museum of Denmark. Indeed, the museum is not only an architectural delight, but for an avid sailor and fan of everything nautical like myself, I probably enjoyed this visit even more than walking through any castle. I have been to many maritime museums, visited old sailing ships, destroyers, aircraft carriers, battle ships and submarines. But, never have I seen the maritime history and life on sea as comprehensively depicted and exhibited. The whole experience was stunning. Walking down the sloped exhibition floors and taking in the various exhibits with great sound and video effects was informative and fascinating. As we continued to explore the countryside of northern Zealand with its green pastures and little villages, we could not forgo visiting another important castle and museum. Frederiksborgslot is another picture-perfect Danish Renaissance castle which also houses the Danish Museum of National History. From Kronborg Castle it's only a half hour drive (or 17 miles) to Hillerød where Frederiksborg Castle faces the town across a small lake. King Frederick II acquired the original castle in 1560 and gave it its name. The castle was used as a main royal residence for the first 100 years. It later fell into disuse until Frederick VII began to occupy it again in 1848. After a fire in 1859 destroyed much of the interior and roofs, its fate was uncertain, until Jacob Christian Jacobsen, the founder of the Carlsberg Breweries, restored it. In 1877, he proposed to make it the home of the Danish Museum of National History. A branch of the Carlsberg Foundation, to whom Jacobsen bequeathed his fortune, still runs the museum and castle today. Our tour through the museum took us through several hundred years of Danish history from the Middle Ages to the 21st century. After Christian II (1513 –1523) - and until Margrethe II became Queen in 1972 - Danish kings were called either Frederick or Christian. Curiously enough, no one could explain to us the tradition's origin. And – a little more Scandinavian royal history – the son of Fredrick VIII (1906-1912), Prince Carl of Denmark, became one of the few elected monarchs in modern history. Norway recruited him and, King Haakon VII, he became the first king of Norway after the 1905 dissolution of Norway's union with Sweden. Frederiksborg Castle and the Museum of National History were just the first examples of philanthropic endeavors we encountered in Denmark. We saw several more in Copenhagen. And, the “Louisiana” belongs in that group as well. The Louisiana was already a different type of museum when Knud W. Jensen founded it and opened its doors in 1958. When we visited it now nearly 60 years later, the setting overlooking the Sound, was still amazing. The various galleries meander through the garden and sculpture park. The architecture by Danish architects Vilhelm Wohlert and Jørgen Bo was clearly inspired by the German Bauhaus (a school founded by the architect Walter Gropius, in 1919 in Weimar). Jensen, we understood, was very much the third architect and he kept expanding and building until his death in 2000. The result is a structure that creates wonderful exhibition spaces for modern art collections of photography, paintings, sculptures, videos, etc. The Giacometti Gallery with its many sculptures and reflections from the lake below is one of the highlights. There are Picassos and Warhols, Lichtensteins, and works by Ai Weiwei, and Danish artists we were not familiar with. Special exhibitions of international and Danish artists change periodically. During our visit we experienced the first major retrospective presentation of the controversial body and performance artist Marina Abramovic. Even if modern art is not your thing – experiencing the Louisiana should be on your Copenhagen itinerary. After traveling for over 10 days by car (from the Netherlands to Lüneburg and Sylt ), we looked forward to staying in one place for a while. We had rented an apartment in Copenhagen and easily found it upon arrival. Returning the rental car (and mailing back the mywebspot pocket WIFI, which had served us well on the road), gave us an opportunity to explore Copenhagen's transit system and the neighborhood of Fredericksberg, where our apartment was located. The subway into town (and to the airport) was only a 4-minute walk away and we discovered that the M2 metro back to our apartment was not only driver-less, but ran like clockwork, every 2-6 minutes during the day (every 15-20 minutes at night). The first two metro lines were completed between 2003 and 2007. A city loop is expected to open in 2019 and more extensions in the following years. The metro system supplements a very effective S-train rapid transit system, and a bus network, both of which we also used during our stay. The wonderful apartment – with modern Danish furniture - had WIFI, maps and city guides. We first familiarized ourselves a little more with the city's history. Getting its start as a Viking fishing village in the 10th century, Copenhagen became Denmark's capital in the 15th century. With a population of over 700,000, it's also the country's largest city today. And, it was again Christian IV, who between 1588 and 1648, was most responsible for Copenhagen's growth and building boom. He initiated a number of building projects, including the Stock Exchange, the Rosenborg Slot and the district of Christianshavn (see later) with canals and ramparts. The city's fortifications, however, proved no match for the British attack in 1807 when most of the city was destroyed. Nevertheless, after the war, and inspite of Denmark declaring bankruptcy in 1813, Copenhagen underwent a period of rebuilding and intense cultural activity, also known as the Danish Golden Age. Nyhavn (new harbor) was originally constructed in 1670 by Christian V, as a gateway from the sea to Kongens Nytorv (King's Square) to handle cargo and fishermen's catch. Today with its colorful buildings, dockside cafes and restaurants looking onto classic sailing ships and pleasure boats, Nyhavn has become one of Copenhagen's top tourist spots, great for people watching or just enjoying the scenery. Hans Christian Andersen, the famous Danish fairy tale writer lived here for over twenty years at Nyhavn, when the harbor side was still a sailor's delight. I was especially intrigued by the sliding pedestrian/bicycle bridge ("Inder havensbroen") which spans the harbor to Christianshavn. Having gone under many fixed and opening bridges during our canal travels in France and the Netherlands (see European Travels 3: Dutch Language and Canal Boating) I've never encountered such a design. The bridge design is controversial to say the least. If you're interested, this article explains both the design and issues of the “Kissing Bridge”. I personally found it quite elegant and watched it open and close several times. Rather than touring the harbor in one of the giant Canal Tour boats, we preferred the Hey Captain option with the yacht-club-type launch and a maximum of 12 guests (and including a complimentary drink). Maybe because it was a mid-September Monday with rain in the forecast, but our tour included only one other guest from the US. So it was quite “private”. Captain Mathias - who works as a ski instructor in South Tyrol during the winter – spoke excellent English and skillfully took us through the harbor. The tour went through the canal along Freetown Christiana (more about that below), the Frederiksholms Kanal by the Christiansborg Palace, etc. He interspersed his explanations of the historic sites with little gossip tidbits of the current life in Copenhagen. The spectacular new Opera House on the Christianshavn side, (see picture), the Royal Danish Playhouse just across on the city side, the “Black Diamond” as the modern waterfront extension of the Royal Library is called. As we sailed by we indeed saw the glass facade sparkling glass like a diamond. We really enjoyed the very informative 60 minute tour. After having visited several castles and palaces during our travels already, we decided to skip the Rosenborg Slot and the Amalienborg Slot, the seat of the Royal family. As the flags were flying, we understood that the Queen was in residence and we witnessed the changing of the guard – enjoyed by school children and adults alike. The SMK (Statens Museum for Kunst), the National Gallery of Denmark, is Denmark's largest art museum and houses collections of mainly Danish (but also international) artists of the past seven centuries. The original museum building of the 1890s has been expanded by a new addition in 1998 which holds the modern collection. When old and modern structures are joined (see picture) not everybody likes the result. But we did. We also visited the David Collection, a fascinating collection of Islamic, European, and Danish Art. There are several ways you can do sightseeing in Copenhagen: In addition to typical bus tours, there are boat tours, kajak tours, bicycle tours and Segway tours and obviously – our preferred way, just walking. We rented (electric) bicycles several times to explore the neighborhood of Frederiksberg where our apartment was located, as well as Christianshavn, (see below) and loved the ubiquitous bike paths. However, we at first shied away from doing so in the middle of the city. Therefore we felt quite brave when we decided to sign up for a Segway tour downtown. We had always wanted to try out a Segway and now had an opportunity to do so. After about 15 minutes of instruction and tryout in the company's offices and on the street, our group of 12 riders assembled to follow the guide. Through our helmet speaker, we heard his instructions and off we went onto the next bike path. As bikers dashed by us we made our way slowly but surely through the city. Once at the harbor prom enade in front of the spectacular Skuespilhuset, the Royal Danish Playhouse (see picture above), we all felt that we had mastered the most difficult part of the Segway trip. Indeed, the Little Mermaid - as both our Boat Captain as well as our Segway Tour Guide stressed - must be the world's most overrated tourist attraction from any vantage point. But we still took a picture just like everybody else! It was amazing how much distance we covered in 90 minutes and how much information we absorbed during that time. Developed in the early 17th century by Christian IV as part of the city's fortifications, and then as a merchants' town inspired by Dutch city planners, it became a working class neighborhood in the 20th Century with military housing. In the 70s it developed a bohemian reputation and became a favorite of students, hippies and artists. When the military left the Christiania area, students called out the “Fristaden Christiania”. Drugs and crime became a problem in the 80s. We were told that police now stay mostly away and self-government by the resident tries to keep the peace. While the many types of cannabis that are openly sold are technically illegal, the law is not enforced and the situation is tolerated. We bicycled through the Freetown on a Sunday morning. A sign at the entrance proclaimed: “You are now leaving the European Union”. Many stands that sold cannabis, colorful jewelry and clothes were just being set up. By midday the area was filled with families on a stroll, joggers, bicyclists and tourists like us. A young man was busy cleaning out the inside. He was clearly stoned and explained that this was going to be his new home. He invited us to come and visit him once it was finished. A visit to Copenhagen wouldn't be complete without a visit to Tivoli, the famous amusement park. Opened in 1843 by its founder Georg Carstensen, on land leased from King Christian VIII, it must have been a model for the Disney Parks over 100 years later. We did not take any of the many offered rides on roller coasters, or other contraptions like the “Vertigo”, a looping plane ride, or the “Zamperla”, a giant swing a spinner with 4G forces, or even the newest “Fatamorgana”. Leaving these to younger folks, we enjoyed walking around the gardens. We watched a ballet performance, listened to a concert and had a delicious dinner in one of the numerous restaurants. In the evening, the many lights with the fireworks at the end created a magical atmosphere. There are so many places to see and experience in Copenhagen, that even a week was not enough. You'll have to consult your travel guide to decide what to see and do. We certainly enjoyed our time in Copenhagen and Denmark. After a few days on the North Frisian island of Sylt (see also European Travels 6 – From Lüneburg to Sylt), it was time to move on and head north to Denmark and its largest island, Sjælland, or Zealand. Readers of a previous post may recall that we had begun to learn Danish a few months earlier with Duolingo and Pimsleur Language Programs. We were, however, under no illusion that we could speak Danish fluently. Travels often inspire curiosity about a country's history. Also for us. From the historic town of Westerland on Sylt, we took the car train shuttle back to Niebüll on the German mainland. And from there, we made our way north to cross the German-Danish border. As with most other inner European borders, there are no longer any check points. Road signs with different coloring will let you know, in case you missed the large border sign, that you are now in Denmark. Still, we were surprised that there were no border controls, as Denmark had reinforced its borders with Germany a few years ago to stop the inflow of illegal goods and immigrants. Denmark applied to join the “European Economic Community” (EEC), the predecessor of the EU, in 1961, shortly after the UK had done so. But, the veto of then President Charles de Gaulle in 1963 against the UK's membership affected Denmark as well. With the UK being Denmark's main customer for its agricultural products, Denmark did not want to join without the UK. After more negotiations and with a new French President, both the UK and Denmark (as well as Ireland) finally joined the EEC in 1973. Danes are somewhat “reluctant” Europeans. Denmark still uses the krone (crown) as its currency and has not accepted the euro. Denmark, Ireland and the Netherlands are probably the three countries most affected by the impending Brexit as they are still heavily dependent on trade with the UK. However, as we learned during our trip to Denmark, there are currently no plans for Denmark to follow the UK's example. We slowly made our way on excellent roads through the Danish countryside toward the town of Fynshav at the Lillebaelt-Arhus Bugt. As we didn't have any Danish kroner, we were looking for an ATM. This gave us our first opportunity to practice our Danish by asking for directions to a bank. Ulrike was therefore quite pleased, when a woman in Augustenborg, whom she asked for directions to a bank ATM, answered in Danish. Not surprisingly though, Ulrike also experienced the “beginner's conundrum”: When the answer came back in rapid-fire Danish, she was lost. But she persisted. And when the woman switched to English, Ulrike just asked her to continue in Danish and to slow down. We indeed found the bank with an ATM and now had Danish kroner. Jeg forstår ikke. - I don't understand. Jeg taler ikke godt dansk. - I don't speak Danish well. The 45-minute ferry crossing from the town of Fynshav to Fyn (Funen), the second largest Danish island, was uneventful. We enjoyed hearing Danish spoken all around us and tried some “Danish pastry”, which in Denmark is called "wienerbrød" (Vienna bread). Was it a Viennese pastry chef who brought pastries to Denmark? In Bøjden (on Fyn) we found the B&B we had reserved: a Danish farmhouse which had been converted by a Dutch woman into a cozy Bed and Breakfast residence. She recommended that we forgo a visit to Odensee, the island's largest city. Instead, she suggested that we visit the town of Faaborg, the Valdemars Slot on the island of Tåsinge in the south, and the town of Nyborg to the north. It has an interesting history. The town celebrated its 775th anniversary in 2004 and thereby the year in which King Valdemar II gave Faaborg (and a good portion of the south of Fyn) as a wedding gift to his daughter-in-law, Eleanor of Portugal. One of the finest buildings in town, “Plougs Gaard” was built in 1790 by Jesper Ploug, who reportedly made his fortune in shipping during the American War of Independence. Once an important harbor for trading with Sweden and Norway and later with England and Germany, services and tourism are now the town's dominant industries. While commercial and fishing traffic in the harbor have decreased, we were told that over 15,000 pleasure boats, vintage ships and yachts of all sizes visit the port each year. There is also regular ferry service to the adjacent islands of Søby, Avernakø, Bjørnø and Lyø. During this second week of September, there were few tourists who, like us, wandered through the narrow streets and admired the historic mansions and town houses. We had an excellent dinner in Det Hvide Pakhus, right at the harbor and pleasure boat marina. The cheerful waitress explained that after schools start in early September tourist traffic drops off significantly. We were surprised, however, how quickly the large restaurant filled up during the early evening hours. It's obviously popular with locals. The next day, we drove to Valdemars Slot (Valdemar's castle) on the nearby island of Tåsinge. We left our raincoats and umbrella in the entrance hall and not seeing any other visitors, personnel or guards, we went ahead and followed the visit schedule outlined in the little guide book we had received. Indeed, in the various rooms recent photos of the current owners were on display. It reinforced our feeling that the owners were still living in the castle from time to time. If you have never heard of Niels Juel, you are not alone. Neither had we. The original castle was built in the years 1639 to 1644 by the Danish King Christian IV for his son, Count Valdemar Christian (thus the name!) However, Valdemar never lived in the castle. Seeking adventure abroad, he died on the battlefield in Poland in 1656. During the war with Sweden (1657-60), the castle was occupied and badly damaged. When Admiral Niels Juel defeated the Swedish in the famous sea battle in the Bay of Køge, he also captured a large number of Swedish ships. This entitled him to one-tenth of the value of the ships – an amount the Danish King was unable to pay to his Admiral. Instead, the Danish King handed over the crown lands of Tåsinge, including the castle, to Niels Juel. The Admiral not only substantially renovated the castle, but added gatehouses, the coach and stable wings and a graceful tea pavilion at the end of an artificial pond. The aerial photo shows it all. We enjoyed a leisurely walk through the many open rooms, The King's Room with many portraits of the Danish kings, the Empress Room, named after the beautiful portrait of Empress Eugenie of France, the bedrooms, guestrooms, and others. It was also interesting to see the photos of current family members and royal visitors. What was especially notable was the lack of any guards (though there were cameras). While we were walking through the various rooms, over old wood floors and antique carpets, we suddenly noticed that other visitors were wearing blue protective covers over their shoes. We realized we had missed the sign and the bin with the covers in our eagerness to start the tour. But nobody had stopped or admonished us, so we quickly corrected our oversight. We visited Valdemars Slot on a rainy weekday and saw few other visitors. But on better days, the castle also seems to attract families who can rent bikes, Segways, kayaks, or go to the nearby beach. Beginning in the 16th century, after Christian II was deposed in 1523, all Danish kings were named either Frederick or Christian – until 1972, when for the first time a woman, Margrethe II, daughter of King Frederick IX, became Queen. Our next stop was Nyborg, which is located on the east side of Fyn. Nyborg, today a town of about 16,000 inhabitants, housed the “Danehoffet”, the country's legislative and judicial assembly from 1183 to 1413. In the 17th century, Nyborg was one of only three fortified towns in Denmark (together with Frederica and Copenhagen). Nyborg Castle is considered one of the most important heritage monuments from Denmark's Middle Ages. It currently is being restored and more information about the project can be found HERE. We toured the museum and found ourselves carried back in time. We also visited the Nyborg's Historical Museum, which encloses the Borgmestergåarden (Mayor's Yard) with its distinctive red painted half-timbered buildings. Walking on the uneven floors of this well-preserved merchant house, we felt we were back in the 17th century. In one of the workshops we watched a blacksmith at his trade. Suspension bridges have always fascinated me. So, I was excited when a few days later, we crossed from Fyn to the island of Zealand (Sjaelland) on the Storebaelt Bridge (the Great Belt Bridge). With a main span of 1,624 meters (5,328 feet), its the world's third-longest suspension bridge. Only the Akashi-Kaikyo Bridge in Japan with 1,991 meters and the Xihoumen Bridge in China with 1,650 meters are longer. The total distance between the two islands and length of the bridge is about 18 km or 11 miles, and we were driving across on a beautiful blue-sky September day. Once across the Great Belt Bridge, we were on the island of Zealand, the largest Danish Island. It didn't take us much more than an hour to reach Roskilde. During a Hurtigruten cruise along the Norwegian coastline a few years ago, we had learned much about the Vikings. While one often associates Norwegians (and Swedes) with the Vikings, the Danes were certainly a key member of the Viking's Scandinavian homeland. The museum owns five “Skuldelev” which were built in the museum's workshop with copies of Viking age tools and corresponding materials and techniques. We only regret that we didn't have the opportunity to join one of those Viking ship's outings. Now a business and educational center with a population of about 50,000 people, Roskilde then was the hub of the Viking land and sea routes 1,000 years ago. And, from the 11th to the 15th century it was the country's capital. In late afternoon, we lingered at a café on the grand square of Roskilde and soaked up the atmosphere of this historic town. There were more sights to explore on Zealand before heading to Copenhagen, but we'll report about them in a future post. Several years ago we experienced the Northern Lights when we visited Norway in September. We took a Hurtigruten Ferry from Bergen to Kirkenes. Our ship, Kong Harald, stopped at various towns along the way, including Ålesund, Trondheim, Tromsø, to finally reach Kirkenes, a town right on the Russian border. When we crossed the Arctic Circle, we all got a handful of ice down our backs as a gesture of respect to Neptune. That night, the sky lit up with a beautiful play of northern lights. It was Galileo Galilei who coined the term "Aurora Borealis" in 1619 after Aurora, the Roman goddess of morning. "Northern lights", the more descriptive term, is used in Germanic languages (which includes English). The Finnish word "revontulet" means "fox's fires" and goes back to the Finnish legend that the northern lights are a reflection of the fox's fur. Northern lights (there are also "Southern lights") develop when electrically charged particles from the sun - a "solar wind" collide with the gases contained in the earth's atmosphere, especially nitrogen and oxygen. A good and more detailed description of Auroras can be found in this article of Space.com: Aurora Borealis: What Causes the Northern Lights & Where to See Them. Some of you would also like to experience these spectacular displays of nature, perhaps. Where to Find Northern Lights? The Northern Lights are one of the biggest attractions in Northern Europe. It is natural to regard them as a significant nature’s wonder. People from around the globe flock to see their glory and beauty from August to March every year depending on the place you’re visiting to witness them. Also known as Aurora Borealis or the polar lights, this scientific miracle is, if not one of the seven wonders of the world, definitely the eighth. There are several ways to experience the Northern Lights and bask in the surreal beauty of that region. Let’s dive right in and check out some of the best ways to witness the Northern Lights this year to get a complete experience! The Swedish Ice Hotel is an attraction in itself and a mark of great man-made excellence. It is constructed every year from scratch and is open for guests from mid-December till March end. In Swedish, "northern lights" is "norrsken". Another way to experience the Northern Lights is by traveling to the Northwest Territories and finding some warmth in the frozen landscapes there. 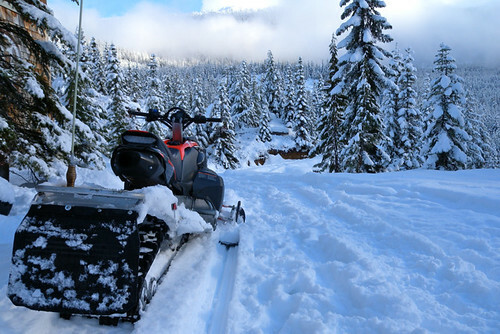 Between the months of December and April, you can go on a snowmobiling voyage across the Great Slave Lake that is totally frozen during these months. You can rent a remote cabin to see the polar lights from there. Iceland has a bustling and busy city life that presents a lot of exploration opportunities for the tourists. You can take a package trip to Reykjavik that accommodates you in a four-star hotel. This package includes the Northern Lights. In Icelandic, "northern lights" is "nor∂urljós". How would you feel about not just witnessing the Northern Lights but also learning all there is to know about it? Hurtigruten, who is a Scandinavian cruise specialist takes you on an Astronomical Voyage of 12 days along with a writer and physicist. This cruise offers a total of six departures in the months of winter and includes at least four ports of call. In Norwegian, "northern lights" is "nordlys". Everyone has heard of the fantastic Siberian Huskies. Regent Holidays offer a Dog Sledding Expedition from Reykjavik to Greenland for a trip of 11 days. The entire trip takes place on dog sleds from South-Eastern Greenland, particularly Tasiilaq. Dog handlers or native mushers accompany you to ensure an uneventful and safe journey through the snowy landscapes. Your 5-day stay there promises you plenty of opportunities to experience the Northern Lights. You can stay in remote and beautiful mountain huts in the middle of nature. How romantic would it be to witness the Northern Lights through a glass-roofed igloo? This would literally entail sleeping under the starry lights to witness one of the biggest scientific marvels on earth. You get to stay in Finnish Lapland which is a beauty in itself at Kakslauttanen. It’s a 3-day trip so again; there are several chances to see the Northern Lights. You can choose your preferred style of igloos above the Arctic Circle. All igloos have a thermal and clear glass domed ceiling. They are also thermally insulated for a cozy and serene stay. In Finnish, "northern lights" is "revontulet". How would you like to watch the Northern Lights up in the sky at 40,000 ft.? 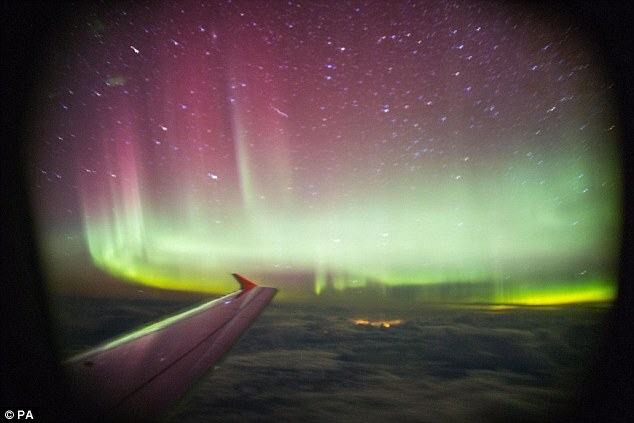 Aurora Flights UK offers a 3-hour flight from London and other regional airports to view the Northern Lights. This trip can be pre-booked from early November until late March. This is an excellent way to view the Northern Lights as it also offers the maximum visibility. Regardless of the way, it is an indisputable fact that Northern Lights are nothing short of a marvel that must be witnessed at least once in a lifetime. 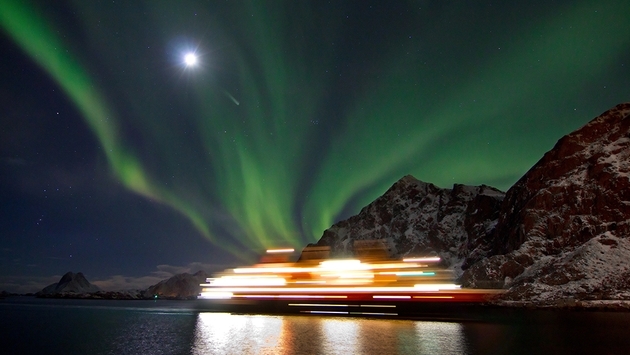 Choosing any one of these ways will give you an ultimate Northern Lights experience. Author’s Bio: Saumya works at The Villa Escape - Norway Northern Lights Tour From India as editor. She is a 20-something fun loving and ambitious female who loves traveling and loves to share her traveling experiences. She loves solo travel trips. If not traveling you can find her behind her laptop playing games. Disclosure: Gamesforlanguage.com has no business relationship with thevillaescape.com or Saumya Tiwari other than publishing Saumya's article. Traveling can be a great motivator for learning a new language. As you're making your travel plans, don't forget the language(s) you may encounter. Obviously this does not work so well for trips such as “Europe: 6 Countries in 7 Days” or similar offerings. But if your plans include a stay of a couple of weeks or so in one city, or even in one country, learning at least the basics of the local language should be part of your preparations. Did You Learn a Language in School? Learning a language in school is a very different experience from learning one outside of the classroom. What is a "school subject" on the one hand, becomes a "hobby" when you're no longer in school. It becomes a way of trying new things and discovering new places. A school subject includes daily homework exercises, classroom lectures and drills, tests, exams, and grades. And who likes to be called on in class? All that can be a chore and may well put a damper on your enthusiasm. On the other hand, learning a language as a "hobby" puts you in charge of your own learning. It's an adventure. Not only do you learn new skills, you explore other cultures and make new friends. Language learning can be a perfect tool for self-discovery and self-development. And, who knows what new doors a second language will open in your work life, or even in your planning for retirement?! If you drop the "school-subject mindset", learning a language can be a fresh and fun experience. One way to do this is to tie language learning to planning a trip. Often, as we plan and organize a trip, we anticipate being there. We imagine touring the Reichstag Dome in Berlin; enjoying a caffè macchiato in Trastevere, Rome; strolling through the Marché Mouffetard in Paris; taking a night tour of the Alhambra, in Granada. Or as we did before our trip through Denmark: picturing ourselves strolling through the streets of Copenhagen, ordering an "øl" in one of the harbor-side bistros on Nyhavn (picture), exploring the Hamlet castle in Helsingør. We made your imagination the motivator for learning Danish! What does knowing the local language matter? Imagine yourself coming to the US without knowing any English. You would certainly experience the country and its people as a tourist, from the outside. Imagine having to ask everyone, every time: Sprechen Sie Deutsch? Parlez-vous français? Parla italiano? Or, Habla español? If you stayed a little longer, you would of course pick up a few words. But if you had learned some basic English phrases ahead of your trip, your interactions with us locals would be more meaningful. I bet you'd enjoy your stay so much more. It's the same for us when we travel abroad. The better we speak the local language, the more deeply we experience the place and its people. Being able to communicate allows us to go off the beaten track and feel confident about doing so. We try to go with the idea that not everyone speaks English. It's something we actually have found to be true in many cases, especially if you venture off the beaten track. However, in countries like Denmark where nearly everybody speaks English, it is often hard to practice your new language: Danish people switch immediately to English when your Danish does not seem to be authentic. I (Ulrike) was therefore quite pleased, when a woman in a small town, whom I asked (in Danish) for directions to a bank ATM, answered in Danish. However, I also experienced the “Beginner's Conundrum”: When her answer came back in rapid fire Danish, I was lost. She switched to English, but I just asked her to continue in Danish and to slow down. We indeed found the Bank with an ATM and could replenish our travel funds. And if you wonder why we don't like to use an ATM at night or not connected to a bank, read about our experience in Seville, Spain: 5 Tips for Dealing with ATM Troubles Abroad (and at Home). That early success encouraged us to use our Danish as much as we could: when ordering food, buying tickets, asking for information, etc. Why Learn Danish at all? Why did we persist, even though English is so widely spoken and Danes themselves tell us not to learn Danish because it's too difficult. Yes, why? When you're in another country, you're in a totally new environment. Everything's different, the way people interact, the look of the countryside, the bustle of the towns, the taste of the food, and obviously, the sound of the language. By using the local language, you're no longer experiencing the country just from the outside. So, if you have a travel destination on your bucket list, add learning the language to your preparations. Give yourself, let's say three months, like we did with Danish. And then see how much of the language you can acquire in that time. Use whatever resources you enjoy (flashcards, songs, films with subtitles, etc.) and just keep going, a little bit every day. As an added benefit, you'll sharpen your memory and train your ear. And when you arrive in the country you're visiting, challenge yourself to speak up whenever you can! Try to experience your visit as a mini-immersion. I have to confess that I have developed a love-hate relationship with Danish. Even though Danish is a Germanic language and there are many words I can decipher when I READ them, I'm still a long way from SPEAKING Danish, or rather – pronouncing it correctly. It's because Danish spelling is not phonetic in many cases: Not only are many endings not pronounced at all, but certain vowel and consonant combinations produce very unfamiliar sounds, at least to my German ear. Nevertheless, I am continuing with Danish using Pimsleur, Duolingo and Memrise lessons at the moment, and hope to be able to listen soon to some LingQ mini-stories. (as Ulrike is already doing). The Pimsleur audio course for Danish lets me focus more on listening and pronunciation, without getting confused by the non-phonetic spelling. Why am I continuing with Danish when our travels are behind us? Because I want to figure out at least the most common Danish pronunciation rules and I won't stop until I do. What started out simply as preparation for a trip to Denmark now has become a personal challenge as well as a way to keep my brain sharp. And what keeps motivating me to continue are my memories of our wonderful trip - and my determination to figure out the Danish pronunciation rules. I'll keep you updated about my success (or failure)! So, pick a travel destination and, yes, jump into your new language. This too is an exciting adventure. Do it with enthusiasm and with imagination, and find your motivation to stick with it. Then go there and speak up!